1.2 What is a freelancer? It’s been 3 months since I wrote my last post on my freelance journey where I left my job to start my own business. It was September 2018 that I officially left my government corporate lifestyle and decided to go all in with my full time freelance virtual assistant business but how is it going? What do I love, what do I hate and most importantly how am I managing my finances. I’ve been blogging for probably around 3 years however I’ve only really been making money from my blog for maybe a year.. if that! The odd bits of extra income above and beyond my regular corporate from both blogging and from offering my services as basically a virtual administrative assistant were lovely; however when you no longer have the luxury of a permanent job paying you the same amount month in month out it does make you more conscious of your money. If you don’t know what a freelancer is; it’s a person who works as a writer, designer, virtual assistant or the like, selling work or services by the hour, day, job, etc rather than working on a regular salary basis for one employer. For example freelance copywriter would complete a piece of work, submit to a client and bill for their time and efforts, a virtual personal assistant would reply to emails or take telephone calls and again bill the client for the time spent on that specific project. Although working freelance is a great way to earn a little bit of ‘extra’ cash when you have a bit of ‘extra’ time but it’s you can’t class it as ‘extra’ money when you’re needing that money more so than ever to live off and keep a roof over your head! There are so many things that didn’t even enter my mind before leaving my permanent employment but the fact that it all happened very quickly was probably a good thing. 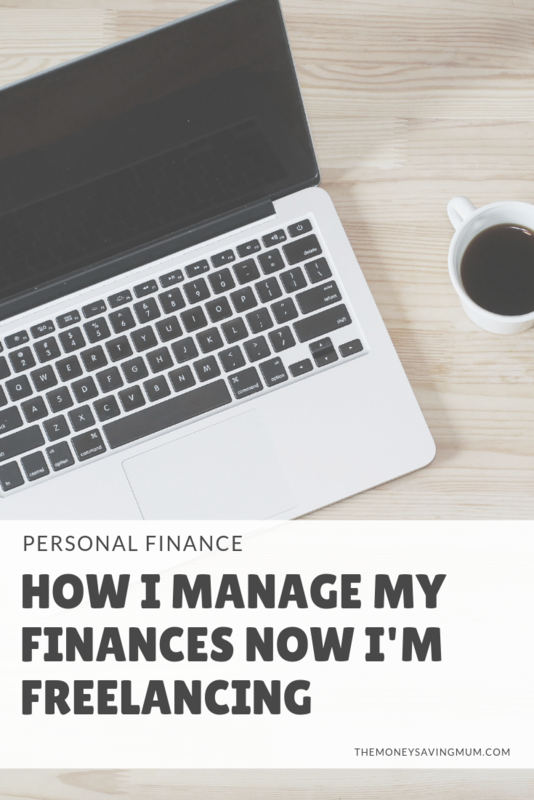 Since becoming a self employed virtual assistant and working from home I’m having to ask myself questions constantly and monitor my finances like crazy! Surprisingly to some, the money element hasn’t necessarily been the biggest anxiety trigger I’ve come across since going freelance but perhaps that’s because I feel I’m getting use to having a variable income and if I earn more brilliant but my aim is to never earn less than I used to earn at my corporate job. I have a spreadsheet with all my outgoings on but I no longer have a set amount coming in each month so how do I actually manage my money? Since leaving school I’ve always known what I’m expected to be paid at the end of every month; I’ve paid and had contributions made by my employer towards my pensions for the past 13 years and even NINO and tax… I haven’t even thought about any of that since leaving the corporate world! 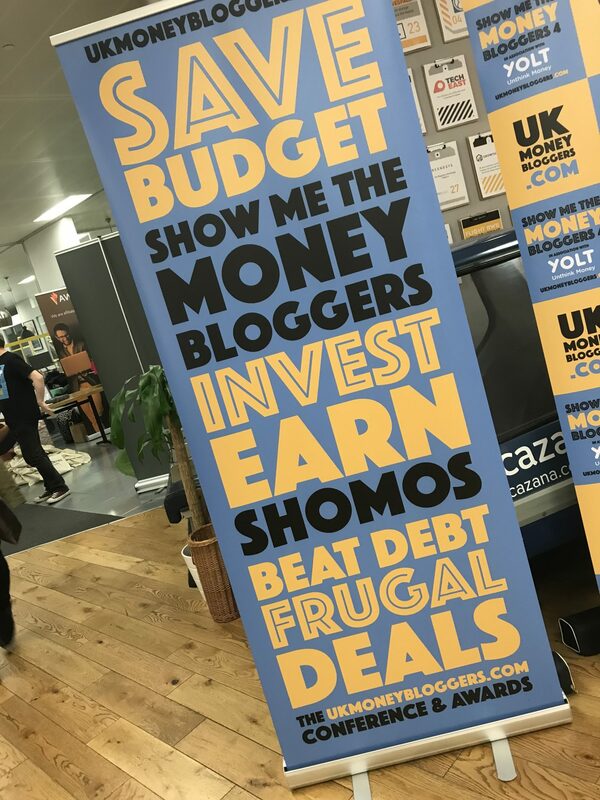 Well until I attended the UK Money Bloggers awards and that my friend is where my eyes were opened… wide! There were some amazing panel discussions that covered debt repayment, emergency funds and pensions but there was just one of the many talks that really hit home with me; a topic about your financial future. It was later that same day that I was introduced to the team at Multiply. 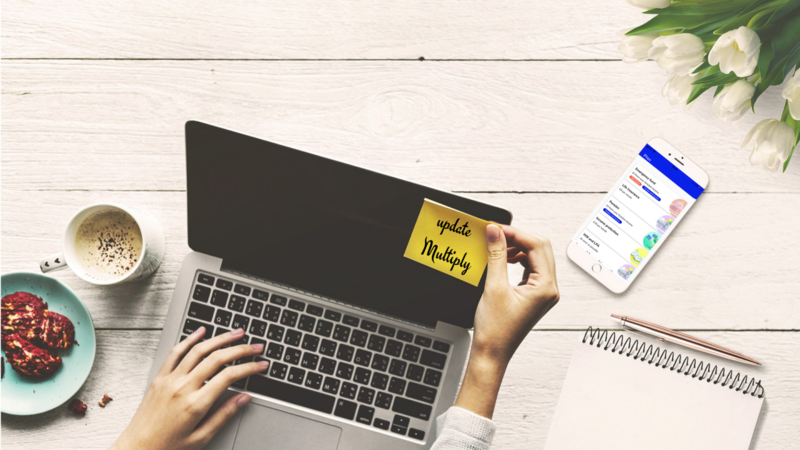 Multiply is a personal finance app that help particularly freelancers and self employed people with the management of personal finances and plan for the future. 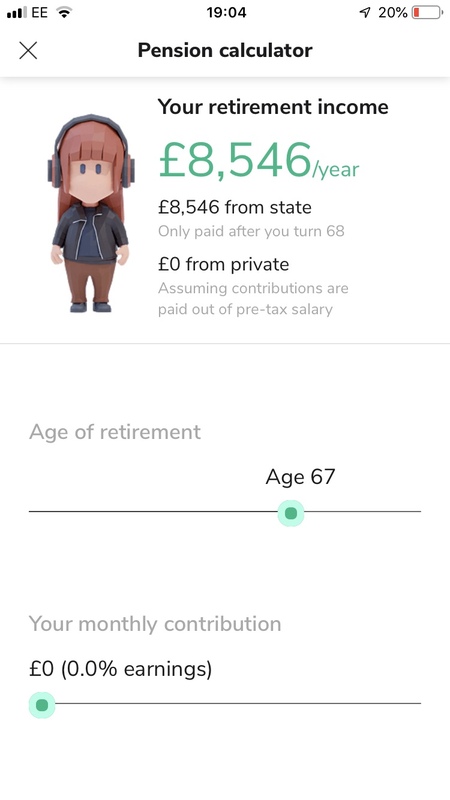 Since listening to the finance experts on the panels last week and downloading the Multiply app; I’ve realised there are quite a few things that I really need to start thinking about now I’m self employed. As I’ve already mentioned, when I was in employment my freelance business and blog had always just been ‘extra money’ and has always been reinvested one way or another into my business but now it’s my actual income and I need it to pay bills and keep a roof over our heads I look at in a whole new light. The Multiply app allows freelancers like me to feel stable, future proof your lifestyle and still achieve your goals. I now have what I need right in front of me to keep a track of my variable monthly income and contribute to the things I’ve previously just brushed under the carpet. 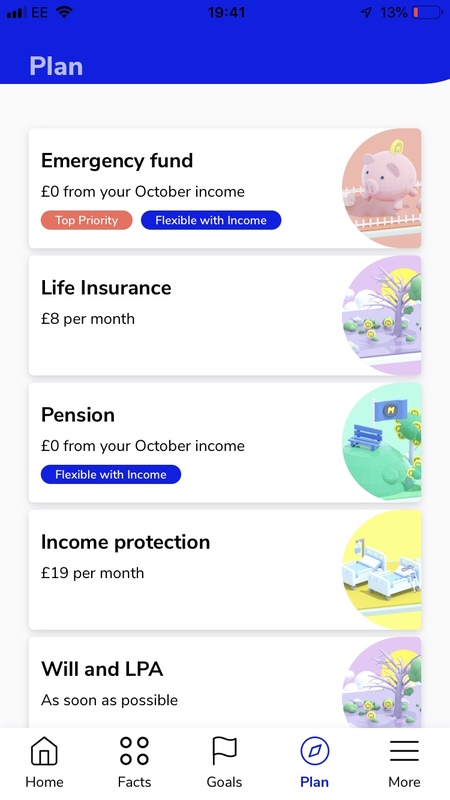 Because my income changes each month I am on a flexible plan where I just update the app with my monthly income and it automatically updates everything within my plan. For example as you can see below it’s telling me that my priority should be to create an emergency fund. It’s something we don’t have and have never have to be fair so we really need to think about putting aside some money and saving like hell for that bugger! 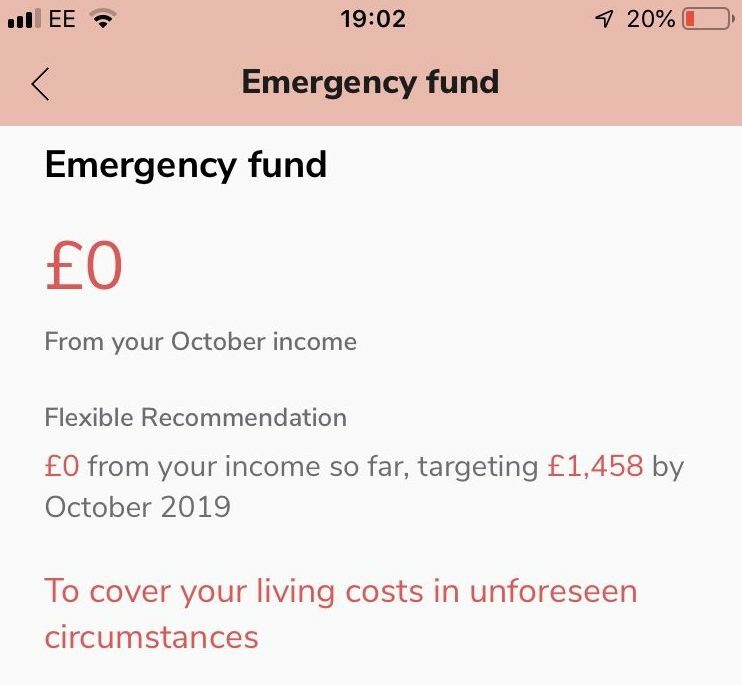 An emergency fund is not just for the car breaking down or washer flooding the kitchen type emergencies (don’t get me wrong it would help massively with these too!) but it’s also there to cover a lack in wage one month perhaps; something that is extremely common as far as being a freelancer because we don’t have a consistent income. Unfortunately my calculations from last month suggest that I can’t really afford to put anything away towards it however all being well when I update it at the end of this month, if my income has increased it will suggest an amount I put away immediately. Again due to my income from last month I’m unfortunately unable to again put anything into my Pension. It’s another something I need to sort out as a matter of urgency to be fair but I do still have my government one on hold so I at least have something. I’m just no longer paying into anything … I want to also make this a priority so really need to get meal planning and save elsewhere! I needn’t be too disheartened about not being able to pay into anything yet though – all being well due to my variable income I may be able to more in next month to make it up. Thats the flexibility with it; if I don’t have it I don’t have it but with this app managing your money it will not leave you short or encourage you to put money somewhere leaving you with little or nothing. 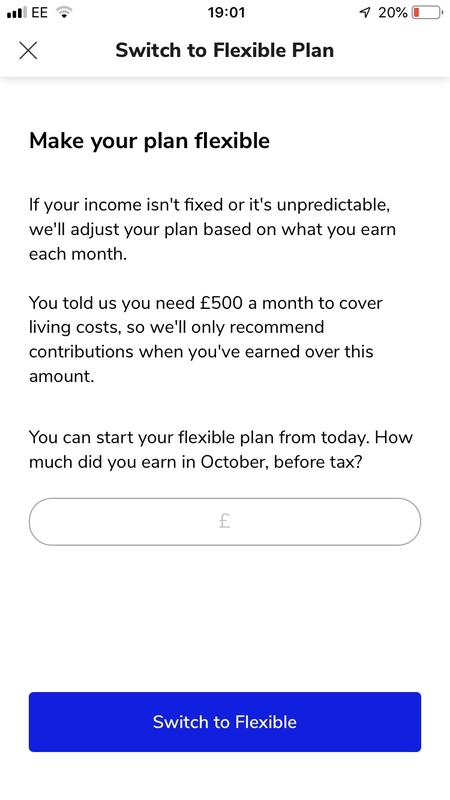 Within the pension section of the Multiply plan there is also a pension calculator so I can see what I will get from my state pension at 67 but if I was in a position to put some away I would alter the monthly contribution of which would adjust the private fund accordingly. Managing finances is one of the hardest things to do when you have no idea how much you are bringing home each month but Multiply really helps you to see the bigger picture and allows you to not only plan for this or next month but in the years to come too. If you feel this post is been of use to you then please feel free to share or you know of any other freelances that may benefit then again pass it on! Previous Post The best Instagrams to follow for fashion-savvy Mums! It is quite interesting to see how much you will have to live on at retirement age, makes for good reading. I assume once your house is paid off and everything £8000 is probably liveable isn’t it?